It’s been a whole two years since we published Father Figure by Zun Lee. Father Figure marked many firsts for both ceiba and Zun – it was both of our first books, it was Zun’s first long term project, and it was ceiba’s first foray into the photobook world as a publisher. It was the best first project we could have asked for, and a gratifying collaboration. The accolades received were the icing on the cake -winner of Best PhotoBook of the Year at the PDN Photo Annual, shortlisted at the Paris Photo – Aperture Photobook Awards for PhotoBook of the Year, and finalist at the POYi Awards for Best Photography Book. We spoke with Zun two years later to catch up on things and learn of what’s to come. 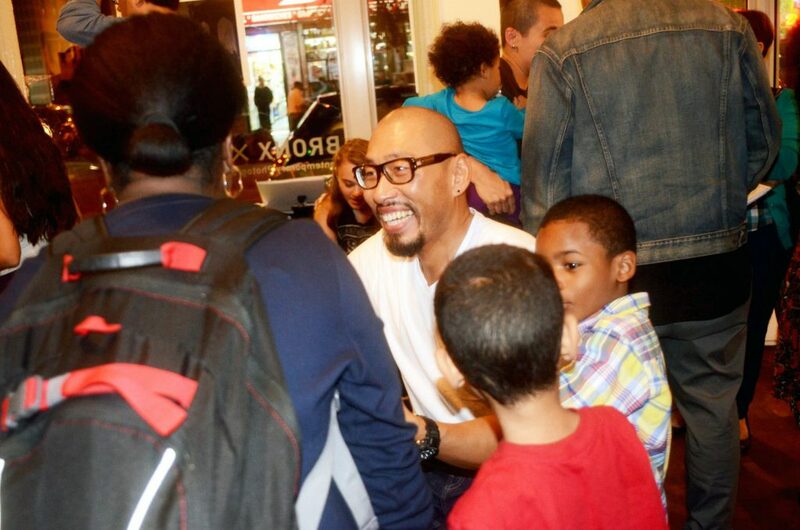 Zun Lee at the Father Figure book launch at the BDC. © Eva-Maria Kunz. It’s been two years since Father Figure was published. It’s so important, now more than ever, for these images to be out there. First off, a heartfelt thank you to you, the Ceiba team, for being advocates for the Father Figure project long before the actual decision to produce and publish the book. I think that speaks to the power of collaboration and of working together on a longer-term vision that starts way before a book project and continues to bear fruit long after the physical object is made. It’s eerie to think back on the last two years and how this project fell into a spiral of escalating concerns re. social justice, the rise of the Black Lives Matter movement, and increasingly urgent conversations re. what it means to be Black in America. In many ways, these past two years intensely and painfully reminded us that the ongoing struggle is (and has always been) also image-driven – who and what is permitted to be seen in certain ways and not in others, and how that shapes the ways in which an entire demographic is pathologized. Much of what that meant was still very abstract when we conceptualized the book. I remember us having conversations about Trayvon Martin and Oscar Grant and how I wanted their stories to shape our editing and design process. But especially post-Ferguson, the endless litany of publicly-visualized Black death has left no doubt that the question of who controls visual narratives of Blackness is an extension of broader inequities that affect people’s perceptions and people’s lives. To be able to contribute to this conversation has been such a humbling learning experience. It also sharpened my own purpose regarding the kinds of future projects I want to delve into and in what ways I want to be able to move the needle. It’s important for me to have worked with you on a project that isn’t just aesthetically pleasing but socially relevant in a meaningful way. In hindsight, we couldn’t have predicted how crucial this became for all of us. What are the benefits and downfalls of having a book out there? The book has definitely changed how I’m being perceived – not only a photographer but as a professional and as a human being. Purely from a professional standpoint, having a book as a testament to a body of work that makes a statement about your craft but also about your identity and your politics – that has been key to getting noticed and recognized by the public, by the media and by the industry. I was very fortunate that my first project out of the gate was so well-received. It was definitely not something that anyone of us could have anticipated. My intention for a book wasn’t to get acclaim or recognition but to have “evidence” of my work in ways that digital images simply cannot convey. Producing a book is still a significant milestone in any photographer’s career. Both the benefits and downfalls with having made a book are interrelated: It all comes with the realization that the ‘work’ associated with a photobook project isn’t done with making the actual object. Once the baby is born, it needs to be nurtured – promoting and marketing it, engaging the public and media in the subject matter, and working with institutions on artist talks, workshops and exhibits. I have been on that circuit for the past two years, and the demands on my time are still substantial. In hindsight, I think I was not prepared for the amount of sustained effort it would take to engage in ancillary activities related to promoting and selling the book – some of it personally driven, but a lot of it in response to public demand. How did the families in the book react upon seeing it? Every family had their own individual reactions to seeing themselves in an actual book but what they all had in common was a sense of pride and joy to see their everyday experience memorialized. 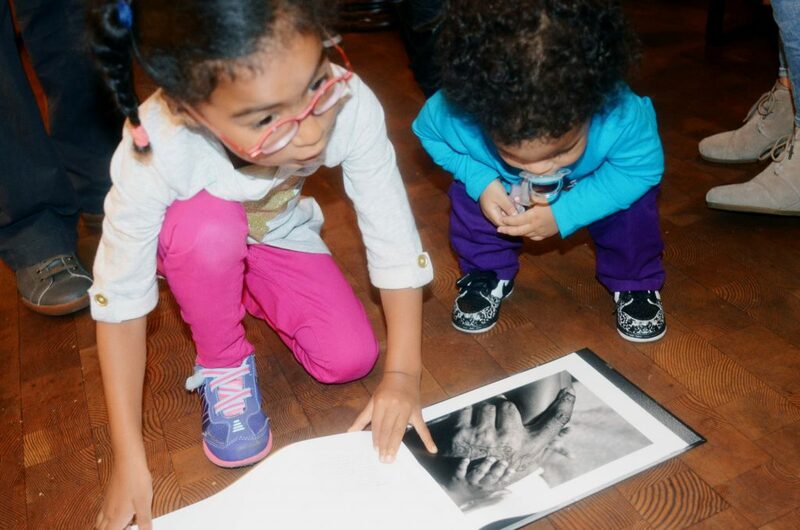 Many families had of course seen their images, but being able to touch them and knowing their images were published conveyed an entirely different meaning to having participated. Many people think that when a book is finally out, the project is over, yet we know it’s actually just the beginning. Indeed, the actual work just begins with the release of the book. Much of the logistics of marketing, promoting, and selling is driven by you, and it requires ongoing effort. I was fortunate in that the project itself had already received significant media coverage prior to the launch, so it was easier to initiate conversations about the book and line up related events. Over time, however, sustaining momentum is something that becomes increasingly difficult. I had to constantly find new angles and aspects to socialize the project in order to keep it fresh and interesting. 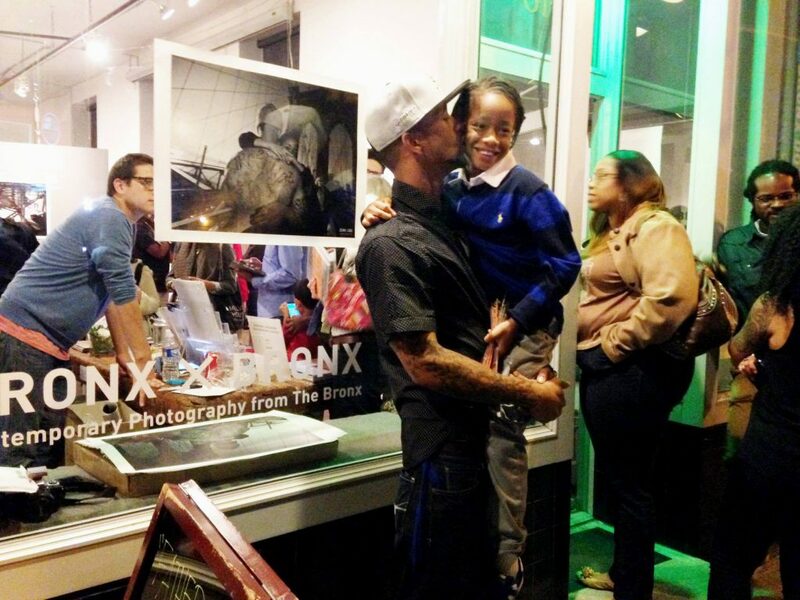 I also relied on activating new audiences outside of the photo industry (e.g. academia, schools, nonprofit community organizations) to keep this project relevant. A long-term project eventually becomes its own living/breathing thing. The biggest lesson for me was to remain open and flexible to the evolution of its purpose and message, and fine-tuning the work to reflect that. It wasn’t so much about course-correcting but letting the broader context slowly emerge. Beyond continuing to identify more collaborators and photographing them, it was important for me to do all the supportive work required to fully understand the scope of the project and my personal relationship with it. That meant lots of research, reading books and articles published re. this subject matter, engaging academic and social services experts, and constantly monitoring current events to find clues re. evolving / changing public sentiment. This was my first long-term photo project, so a lot of it was about trial-and-error, making mistakes, and learning as one goes. In hindsight, I would have shared much more work-in-progress sooner, not just with the public or the photo community, but with non-photography experts in anthropology and sociology. It could have accelerated the project significantly in terms of methodology and identifying the right fathers and families to work with. I’m applying these lessons to my next projects as we speak. There are so many valuable lessons learned from the bookmaking process. Firstly, whether you self-publish or are fortunate to find a publisher – try and find a team that values collaboration, people that look beyond the aesthetic aspects and really understand you and the spirit of your work. This impacts any and all decisions, from material choices, logistics, project planning, editing and sequencing, design, production, sales and marketing. And as mentioned above, the second aspect is to understand that the bookmaking process doesn’t end with the actual book. I cannot overemphasize that! You’ve been working on Fade Resistance, a project we will publish in 2017. Can you tell us a bit about it? 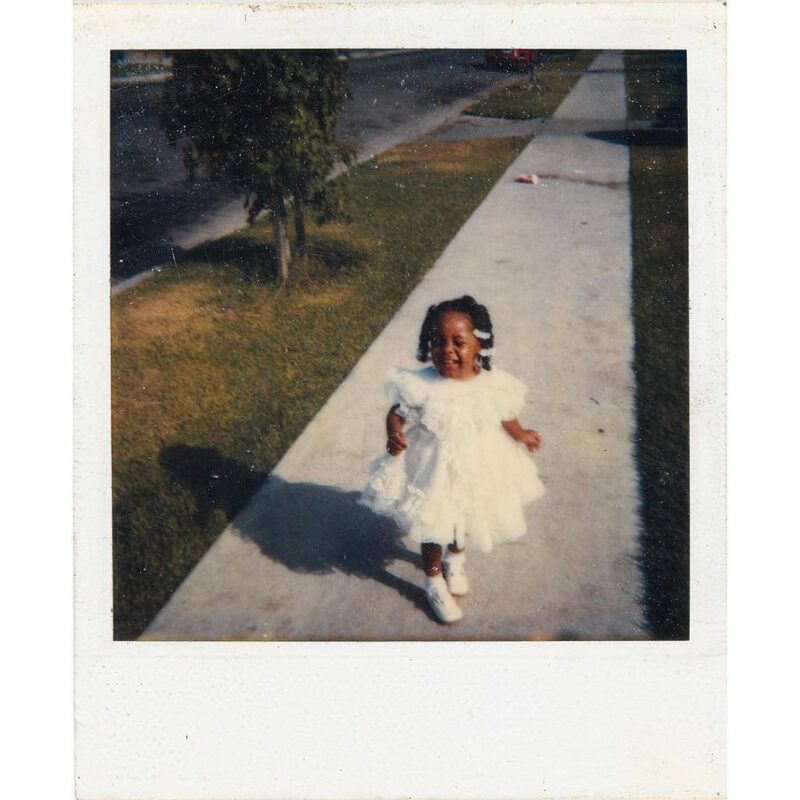 Fade Resistance is a personal archive of over 4,000 found Polaroids and other instant film images of African American families I have collected since 2012. In many ways, it is an extension of the Father Figure project in that it embodies the visuality of everyday Black family life in ways the media rarely shows. What makes this collection so haunting is the fact that many images were taken by the families themselves in their homes – they are so full of intimacy, joy and love. At the same time, the reason we can view them is because so many of these families lost these keepsakes along with other belongings in circumstances that were beyond their control and not always positive – one can speculate about systemic displacement and the effects of the recent mortgage crisis. 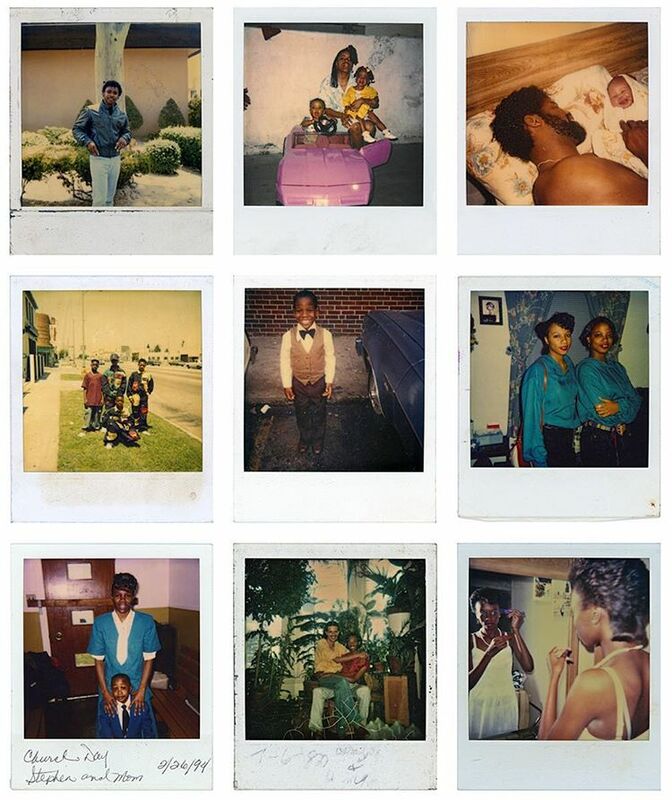 I am hoping to reconnect some of these images with their original owners and to offer a view into an aspect of Black life that often gets neglected in most of the current media coverage surrounding Black Lives Matter: The ways in which Black families and communities represented themselves – as complete, complex human beings, and not as tropes. I’m excited about our collaboration and how the publication will narrativize this story. And finally, what advice do you have for people of color trying to make it in the photography industry? That’s a tough question to answer as I’m still trying to make sense of the industry and my positionality as an image-maker of color. I received plenty of support in big and small ways to get me to this point in my journey. To name one key piece of advice: Trust your own lived experience and perspective, and as a storyteller focus on developing work that you specifically can speak to, because you know it, have lived it, and can translate it into visuals that convey more than an aesthetic experience. It’s in honoring the multitude of specific individual experiences and in the sharing of these experiences that we create an inclusive environment, not in encouraging “everyone to do everything”.